Getting customers to engage with your brand on social media is gold. And right now, Instagram is the social-media platform that wears the crown. Brands that use the photo and video sharing app, which was acquired by Facebook for $1 billion in April of 2012, generally see higher rates of engagement there than on any other major social network, according to a new report. While that is true for brands in most industries, there are two exceptions: consumer products and telecommunications companies tend to have more engagement on Pinterest. The report, released this week by D.C.-based marketing intelligence agency TrackMaven, was based on an analysis of likes, retweets, comments and other interactions on more than 340,000 social media posts. The posts came from 213 consumer-facing brands on Facebook, Twitter, LinkedIn, Instagram and Pinterest. 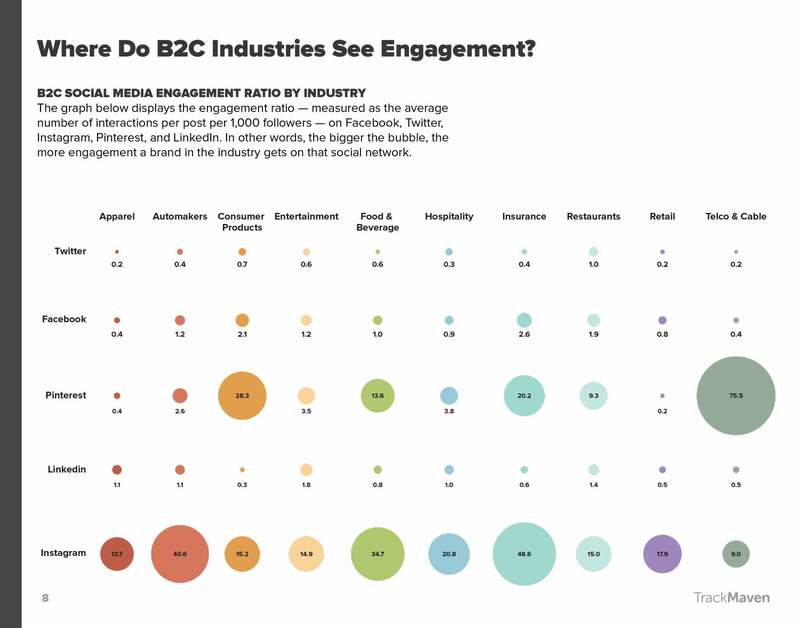 While brands tend to have larger audiences on Facebook, engagement there and on Twitter is minimal, the report says. Restaurants get higher engagement than any other industry on Twitter, but rates are still “measly,” according to the report. So, what is so magical about Instagram? Instagram is all about visual content: photos and videos. People love pictures, especially when they are scrolling on their smartphones. But Instagram is also a place where people are likely to branch out beyond whom they know -- unlike Facebook, for instance, where many people limit their connections to real-life friends and acquaintances. Hashtags also help with engagement. Brands have higher rates of engagement on Instagram when there were more hashtags, the report finds. The takeaway? Focus on your company’s Instagram account. And seriously pump up your hashtag game. Follow Entrepreneur on Instagram for engaging visual stories.